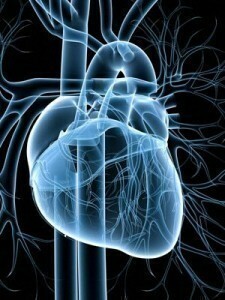 Also called cardiopathy, heart disease is a medical term used for various illnesses involving the heart. It is one of the leading killer diseases in the world today, especially in places like the United States, Canada and England. It comes in various types, the most common of which are hypertensive heart disease, cardiomyopathy and coronary heart disease. 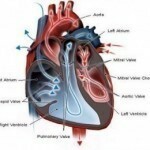 Other popular types of this disease are inflammatory heart disease, heart failure and ischaemic heart disease. It is easier to manage and control the different minor and major symptoms of heart disease by learning the proper diagnosis and the appropriate treatments for this severe medical condition. The different signs and symptoms of this disease vary depending on its type. In case of valvular heart disease, the early signs are shortness of breath, swollen feet and irregular heartbeat. In case of heart infections like endocarditis, myocarditis and pericarditis, the common signs include skin rashes, changes in heart rhythm and swelling in the abdomen. 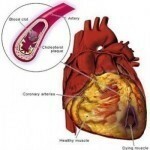 When the problem is caused by cardiopathy, which is the stiffening and thickening of heart muscle, the minor symptoms are fainting, lightheadedness and dizziness. In some cases, patients can experience bloating of the abdomen, fatigue and breathlessness with exertion. In serious cases of congenital heart defects, patients may suffer from shortness of breath during the feeding process, which would then lead to poor weight gain. There is also swelling, particularly in areas surrounding the eyes, abdomen and legs. The skin may also experience cyanosis, a state wherein the skin color can turn into a bluish or pale grayish color. In less serious cases of congenital heart defects, the early signs are mostly minor in nature including the swelling of hands, easy to tire during physical activity and shortness of breath. 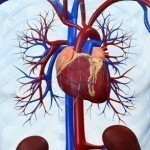 Heart disease needs proper diagnosis because it is a fatal condition. The procedures and methods used for this kind of health problem vary depending on the type of problem. After undergoing physical examinations and being asked of their medical histories, patients can undergo other diagnostic tests including electrocardiogram, chest x-ray and blood tests. Furthermore, proper diagnosis is also possible through cardiac catheterization, echocardiogram as well as Holter monitoring. In certain cases, more advanced procedures are necessary such as cardiac magnetic resonance imaging, cardiac computerized tomography scan and heart biopsy. For cardiovascular disease, patients need to have lifestyle changes, which should include moderate exercise, smoking cessation and low-sodium diet. They must also take some serious medications like cholesterol-lowering drugs, blood-thing medications and angiotensin-converting enzyme inhibitors. For the treatment of arrhythmias, patients can ask their doctors for anti-arrhythmic drugs. 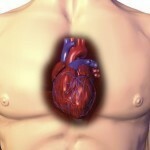 Furthermore, they may also need implantable cardioverter-defibrillators or pacemakers. For those with heart defects, the solutions are heart transplant and open-heart surgery.